Star Wars is such a huge IP with dozens of games released since the ol' days of the original trilogy, that it was a real challenge to actually create a list of only eight great games to pick as the most influential in gaming. That said, here's our list of the most influential titles to come from Star Wars and really introduce those who have never seen a movie or played a game about Star Wars into the franchise. Of course, we're sure that you may disagree with one or two from a list or feel a game should have made it. If that's the case, comment on the forum and let us know! We'd love to hear from you! Before Star Wars: The Old Republic (SWTOR) there was a Star Wars MMO that was widely popular and beloved by fans of the Star Wars series. While SWTOR took place in between the trilogies, Galaxies was all about the original three movies which is most likely what created such a cult following for this MMO. 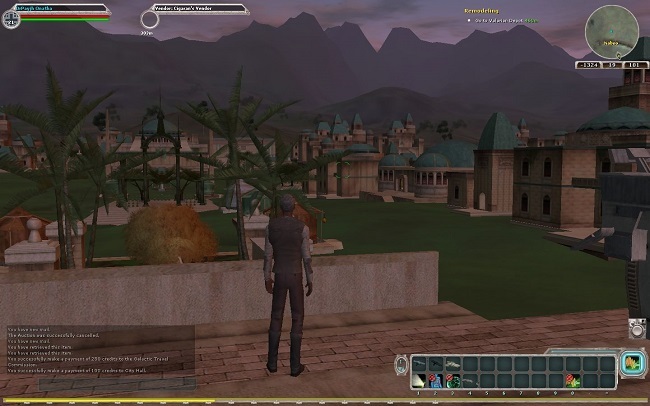 Galaxies was one of the first MMOs to include player housing and even the creation of city like areas that were completely managed by other players, an option that's a rarity among later MMOs. The Star Wars element aside, Galaxies was a fun game to play with others and absolutely meant to be played with others. It wasn't some single player game with MMO elements to it.